Also, you can check this video which is dedicated to this type of decision. So, let me now share with you my recent experiences and why I think I (and you) should take seriously Jacob’s advice on that subject. First of all, what is an automatic decision? Some players relate this thing to intuition, or to the first move that comes to mind or what I have heard many times as moves that we would have made in blitz. I saw that the excellent gentleman and highway robber in blitz Kevin Goh said a few nice things about me after making his last GM-norm. JT: Was there a different approach you took towards this event and the previous other GM norm attempts you made during the barren years that made your chances better (preparation, mindset, living conditions etc)? Best wishes from Heraklion, the capital of the Greek island Crete. Kallia and I are here to inspect possible venues for our next big project – the Quality Chess Training Camp! We have so far found three possible venues and will now have to debate the prices with the hotels. Meanwhile, let me explain the basic concept for you. A seven day training camp in beautiful surroundings at affordable (off-season) all-inclusive prices. This year I am hosting a training camp in my house for the third time. The first year had two participants, the second year six and this year we will be nine. However, I had to push people to come the last two years, while this year 21 people expressed serious interest. I prefer such events greatly to one-on-one training. I charge £700 all-inclusive for the seven day summer camp, which involves a few sofas, some AirBnb and so on. With nine participants it feels like it has outgrown the “do-it-yourself” stage. So here is the plan. Quality Chess will cooperate with a local organiser in Heraklion to have a camp in a hotel here for something like €899. Depending on the hotel we choose and get a good deal from. We have a favourite and they seemed interested. The first camp will take place 4-10 November 2018 and will most likely be capped with a minimum rating of 2300. The second camp will take place in the beginning of May 2019 and be open for everyone. In the first camp in November there will be two coaches, GM Boris Gelfand and GM Myself. Exactly how we will divide the job between us, we are still negotiating. I hope he will not jump ship in the process, so do not read this as an invitation, but as a blog post!! But the dates in November are specifically decided to fit around his schedule. In the second camp in May, there will be more coaches and hopefully more participants. The November camp is a trial run for us to learn how to do this right. In May we will not have any rating restrictions, but a big camp with classes at multiple levels at the same time and some big lectures. The evenings will have blitz tournaments by the pool (not guaranteed a pool for November though :-(), simuls, a quiz night and so on. We hope for it to be possible to bring family members at good prices. Wives, kids, parents, siblings, grandparents. Whatever is needed for you to be able to come. I want it to be something special, which incorporates a great holiday with top level chess coaching. Look out at this spot or sign up for our newsletter for more information. I am no longer studying chess to learn the basics in the way I did once, but I am going through that process with improving my technique on the guitar. As with many chess players, I have picked up this and that over the years from others, but not really been through a systematic programme to learn the chops. Tiger Hillarp Persson is learning to play Go, among others because learning a new game from the beginning (he is no longer a beginner though), has made him a better teacher. I work hard on improving as a musician and as a tennis player, because doing something I really like well is a pleasurable experience for me and because I really like to improve my skills. Learning is simply fun. There are a few tips I have picked up from the highly skilled teachers I have been working with, which I might as well share with your guys. Train every day. Working a bit every day is better than working twice as much on the weekend. We need our subconscious to keep working in the background or something. I will not claim any type of scientific insight, but I am experiencing a great leap in my technique. Play with confidence. 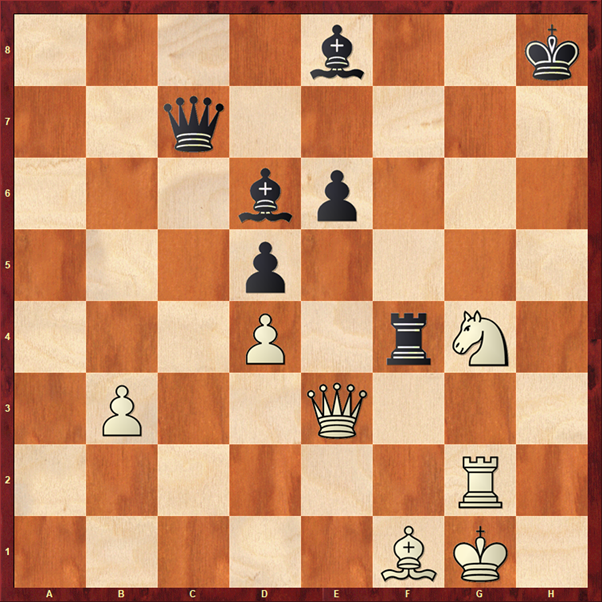 Actually, this is a chess insight, just happy to see it replicated elsewhere. You cannot second guess yourself all the time. You have to accept that you are limited in ability and should try to execute the stroke, chord, positional decision, whatever it is, in the correct way. When you fail (learning is failing and reflecting, mainly), you will be able to look at what you did wrong and how you can do it right. Second guessing yourself does not work. It may win the point, the song may not sound entirely stupid and you may not blunder something. But not attempting to do things right, means that you will do them wrong for longer. This is a main reason why practice is so glorious; it gives us a chance to fail on purpose, so we can reflect. The best way to learn to do something right is by doing it right. This is known especially from music, but I find it useful in tennis too. And other things. 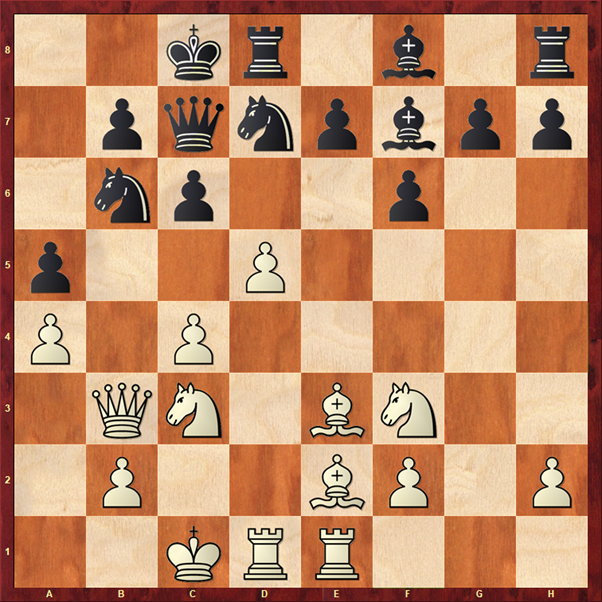 In chess, when you are learning to apply a proper candidate search to each move, you should allow it to take minutes. By doing the technique (“of just looking for options and ideas” – very simple, but any technique you really want to use should be simple) slowly means that you stay in control and can fend off impulses to just guess or just do something and similar. I know of World Class players that have not implemented the techniques they need to compete at the level they could. And the main problem seems always to be impulse control. So, slow down. One of my observations in my thirty plus years in chess is that you can divide people into groups of those who get motivated by their own successes and ambitions and those that get excited by the prospects of others. This is one of the reasons why many grandmasters write bad books or are lousy trainers, while some less strong players are excellent coaches and write fantastic books.